Whether for a single room or your entire house, renovating can be a costly process. Knowing what crafty budget cuts you can get away with, and where it’s worth spending that little bit extra, could be the difference between a successful renovation and a short-term ‘quick fix’. There are times to spend and times to save, but sometimes it’s better to invest. You want your renovation to stand the test of time, therefore features like screws, nails and above all paint, are features that you definitely don’t want to cut corners on. After all, it can be more expensive having to fix issues that come as a result of using lower quality materials. Investing in quality materials might mean a higher initial cost, but ultimately, you’ll be saving money in the long term. Never underestimate the power that paint has on a room. Before you commit to the hefty job of repositioning or re-plastering your walls, try painting them first. Colours have a surprisingly elevating effect and come at a much cheaper cost! If you don’t quite think you’re ready to pick up the brush yourself, click here for a quick tutorial from B&Q on how to paint your room and brush up on your DIY skills! Your countertops are the surfaces of your home; they aren’t just where you prepare your food, they’re a key focal point of your kitchen! Setting a piece of your budget aside for quality kitchen surfaces pays off in the long run. Maxtop Quartz is a great choice because of its high quality and undeniable strength, consumers get maximum benefits with minimum fuss. It’s also really easy to install, just take a look at this video to see why! This point may seem slightly unusual or to many it may even seem very obvious, but without realising it, many of us fall into the trap of just buying appliances for the sake of it! 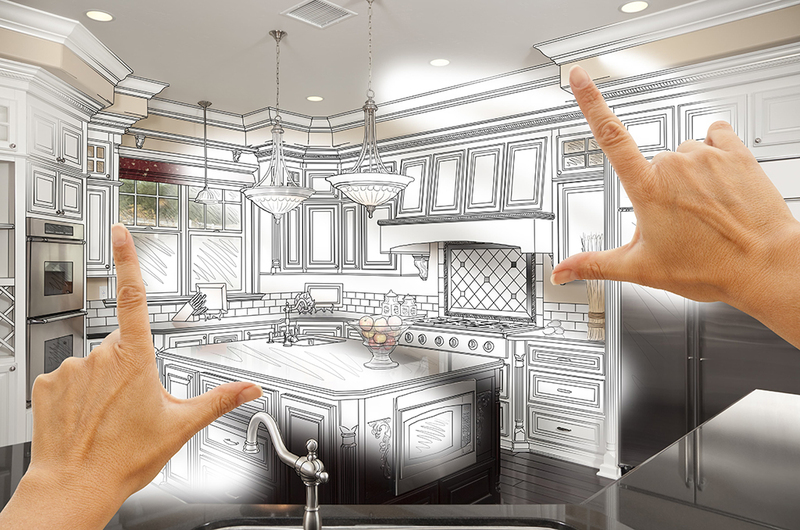 When trying to limit your renovation costs, think first what your kitchen will actually be used for. For example, will that deluxe American style fridge/freezer be needed if you live alone in a small apartment, or that Nespresso machine when you don’t even drink that much coffee? When keeping to a budget, make sure you are buying appliances for function rather than just for the sake of it. There are so many great ideas out there for cost-effective decorating! For example, instead of splashing out on bespoke glass shower doors, why not choose from a selection of tasteful looking shower curtains? Not only will it save you hundreds of pounds but, every morning won’t be spent wiping down the shower with a squeegee! Make sure you check out some of the great ideas over at House Beautiful to give you a bit of inspiration. Finding bargains can be difficult when traipsing around shops; it’s often tempting to just go to a single retailer for everything purely because of the convenience. However, if you’re really looking to find the best value deals, you’ll want to be able to have all your options available for consideration. Fortunately, the internet makes comparison much easier: just type in what you’re looking for into a search engine and see what bargains you can find. Make sure you check out the smaller, local retailer websites too! Not only does natural light look more authentic but it comes at a fraction of the price! They capture the light that hits your roof and reflect it through tubes down into your windowless bathroom or hallway. Mirrors are another great way to add the illusion of light and space. Both are great energy savers as well as being far cheaper than putting a big hole in the wall for a new window! Whatever your budget, bear in mind our useful #MaxtopTips when trying to keep those renovating costs down to a minimum. There are times to spend and times to save, so have a think what is most important for you and your home and what items you can afford to cut some corners on!